At mid-afternoon from Daytona, it looked like qualifying for the Coke Zero Sugar 400 would be a washout. The rain was blowing across the asphalt banking like a waterfall. NASCAR Xfinity Series qualifying had already been canceled. However, even before the storm completely moved off. 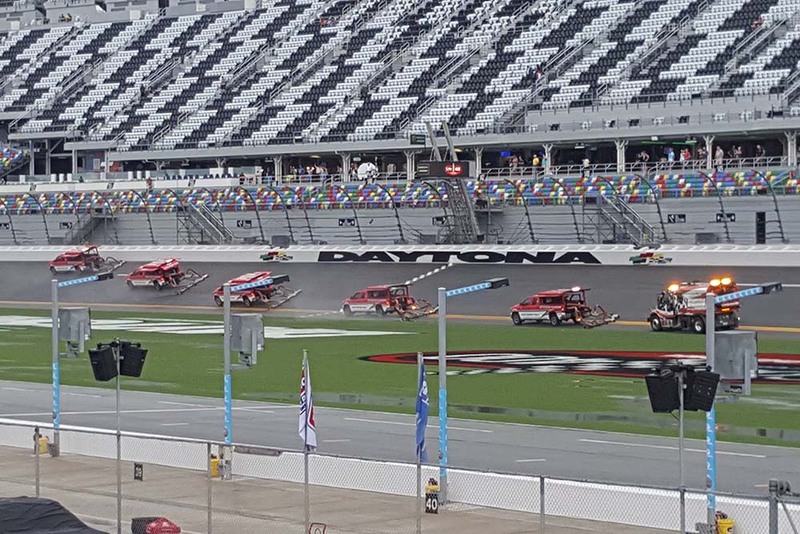 The safety crew at Daytona International Speedway was circling the track with the jet dryers. 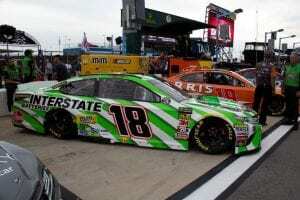 NASCAR moved the 2-round single-car qualifying session to late afternoon. The weather held and the track dried quickly. A total of 41 cars lined up on pit road to make a qualifying attempt. 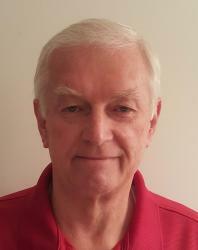 Timothy Peters(92) failed to make the field posting the 41st fastest time. Almost a half second behind the final qualifier, J. J. Yeley(23). Yeley’s speed, 182.730 mph. With the abbreviated 2-round format drivers were racing to finish in the top 12. Only the 12 fastest cars would have a chance to win the pole. 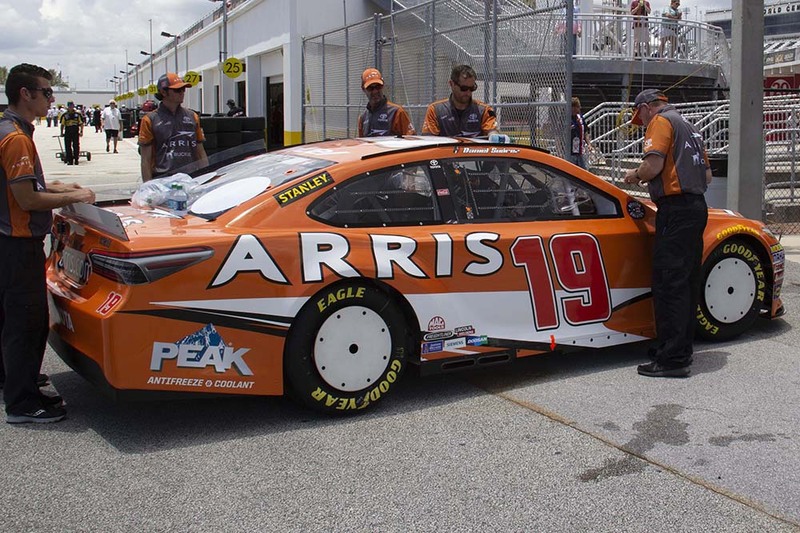 Daniel Suarez(19) could only manage a lap of 188.001, good for the 32nd starting position. 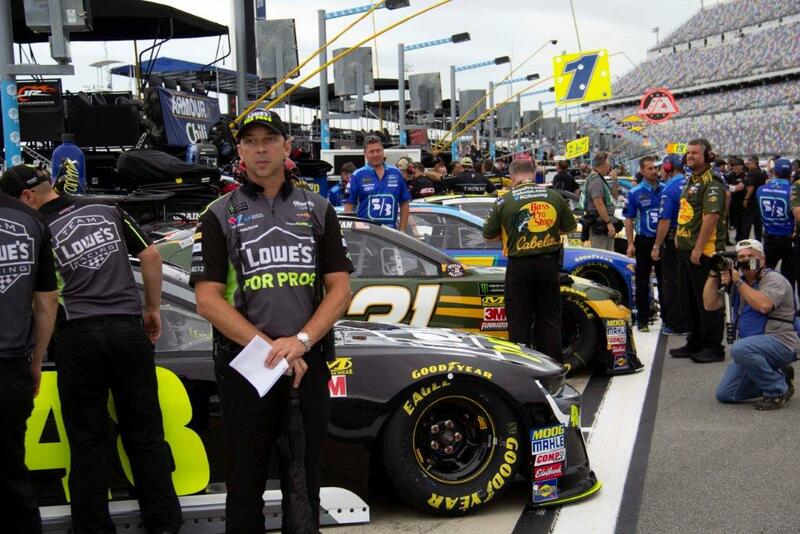 Aric Almirola(10), Jamie McMurray(1), Kasey Kahne(95), Michigan’s Erik Jones(20), and Paul Menard(21) placed 26th to 30th. 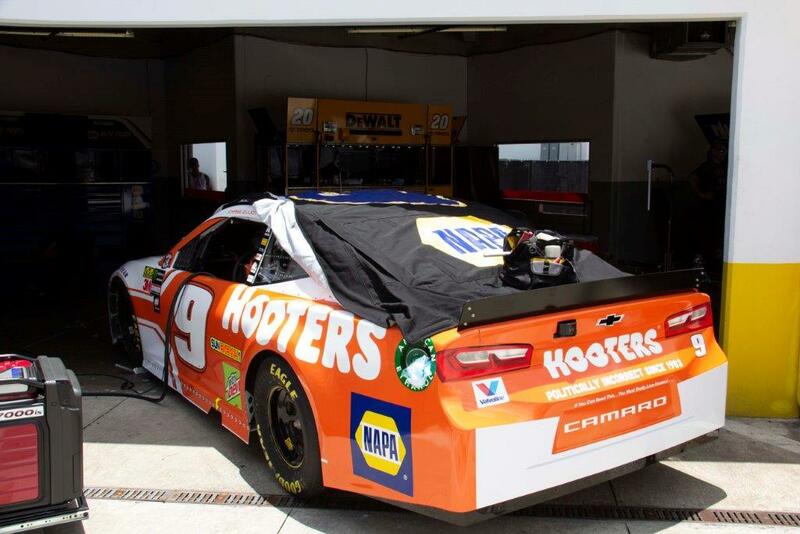 Chase Elliott(9) won the pole with a speed of 194.045. 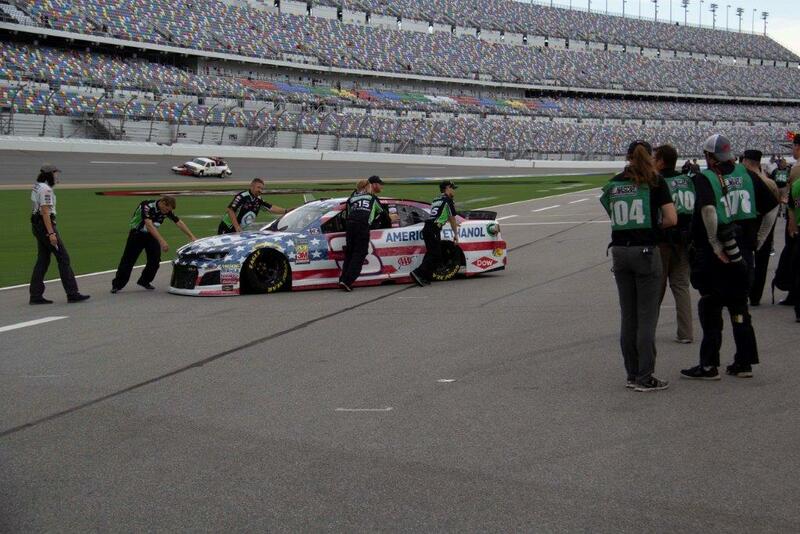 Teammate Alex Bowman(88) joins Elliott on the front row with after posting a speed of 193.046. The remainder of the top 12 includes a couple of surprises. Brad Keselowski starts 3rd. 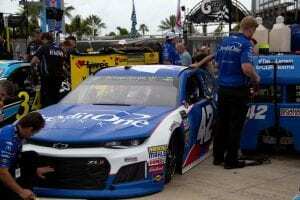 Jimmie Johnson gets a rare start near the front of the field qualifying in 4th. Kevin Harvick(4), Rickey Stenhouse Jr.(17), and Ryan Newman(31) sit 5th through 7th. Michael McDowell(34), with his best qualifying effort of the year, starts in 8th. Clint Bowyer(14) sits 9th, Daytona 500 Champion Austin Dillon took the 10th starting position. Joey Logano(22) starts 11th and Ryan Blaney(12) 12th. Seven Fords start in the top 12 spots on the grid. Good news for the Blue Oval Fans. 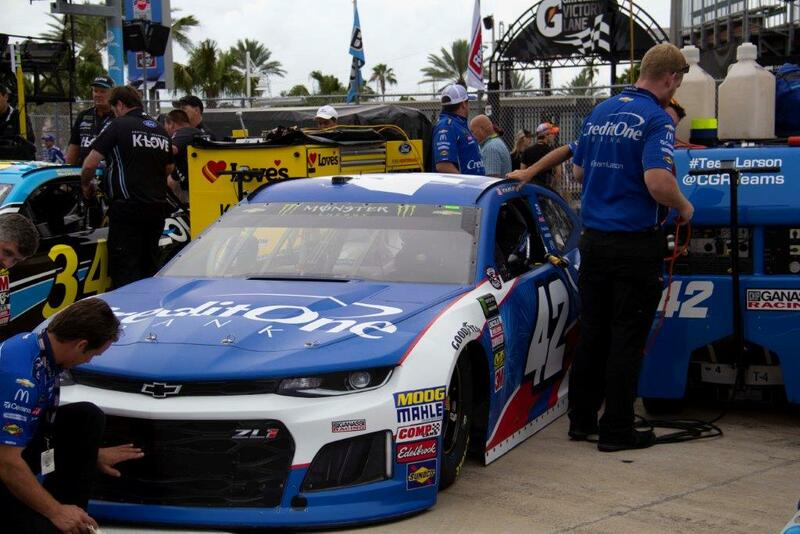 The Coke Zero Sugar 400 is scheduled for a 7:00 pm start on Saturday, July 7th. Tickets are still available at the Daytona Ticket Office Link. If you can’t make it to the track remember NBC is now the broadcast partner for the remainder of the season.